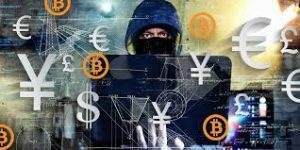 The history of bitcoin thefts, hacks and simple disappearances (because holders lose the “private key” needed to use the bitcoin) is long and getting longer. We’ve seen the collapse of the Mt. Gox bitcoin exchange in Japan and heard many other horror stories about missing or stolen bitcoins. This article gives us the latest example. Here’s the deal. Bitcoins are created by so-called “miners” (not real miners, but large-scale computing operations that solve increasingly difficult math problems both to validate existing bitcoin transactions and to earn new bitcoins as a “reward” for doing the math). The amount of computing power needed and the electricity needed to run and cool the computers is immense. Not a bad idea, but the system security was not up to the task. According to this article, $60 million of bitcoin stored by NiceHash have gone missing. Even worse, the $60 million loss estimate was based on a $10,000 bitcoin price at the time of theft. Using today’s price, that loss could be $90 million or more. In these conditions, it’s difficult to regard bitcoin as a reliable “store of value,” part of the basic definition of money.